Trading posts found in areas close to Native American reservations might be the real thing. Or they could be just another souvenir shop dressed up to seem authentic. To enter a genuine trading post that trades with local Native Americans is an experience in commerce that has its roots in the trade before the 1900s. And at some trading posts, the families have been trading with locals for generations. These trading posts, bursting with authentic goods, are vital to Native American commerce and financial viability. During the old trading days in Gallup, New Mexico, Navajo families might travel for several hours and spend a day or two in town. They would spend an entire day at the trading post selling wool and trading blankets and jewelry to the trader for food supplies and clothing, exchanging stories with friends or neighbors that they saw only on these occasions. The mention of the words "pawn shop" might conjure up visions of skid row down-and-outers pawning their watch or guitar for some money to buy an immediate need. But a visit to Perry Null Trading Company will change that vision. Native Americans on the reservations must be self-sufficient. There aren’t many places nearby to provide employment and a steady income. It is said that more than 80 percent of the Native American jewelry sold today passes from the reservations near Gallup through the Gallup area. There are many home-based businesses doing weaving, pottery, and silver work. Native Americans who pawn their family possessions, jewelry, guns, and saddles, do so for two reasons. One it is a way to get a loan to see them through a lean season. And, two, it is a way to store precious possessions. In vaults in back rooms of trading posts you might see beautiful saddles, treasured rifles, ceremonial skins, wedding baskets, and beautiful jewelry, much of it vintage turquoise and silver, handed down for generations. The owners pay on these items monthly and pay the full amount due when they decide to take them out of storage. This is called "live pawn." At Richardson’s Cash Pawn, another well-known trading post in the Gallup area, more than 95 percent of the items pawned are considered live pawn, and that is not for sale. “Dead" or "old" pawn is what you see for sale. Dead pawn has been abandoned by the owner, and the trader is selling it to get back some of the money he loaned on it. Traders rely on long-established, trusting business relationships with the local Native Americans. This trust is often established over generations in the trading business. Traders know the families and value their business. They deal in authentic Native American objects of art, jewelry, rugs, and pottery and can provide certificates of authenticity for these items. The traders know the origin of these items, meaning they know the families who made them. Dealing with a well-known trader means that you are buying a Native American item only one step removed from the person who made it. To understand the art and craft items and the trading process, it is helpful to first visit a historic trading post such as The Hubbell Trading Post, which is still active and is operated by the National Park Service. Toadlena Trading Post, also near Gallup, has a weaving museum that will help you learn about Native American rugs. Richardson's Cash Pawn, right on Route 66 in Gallup, offers tours for groups from eight to 40 people. The tours are free and take about 2.5 hours. You will learn all about the trading system, about Native American art and jewelry and rugs, and see areas of this historic trading company the public would not normally see. You should call ahead to make arrangements. 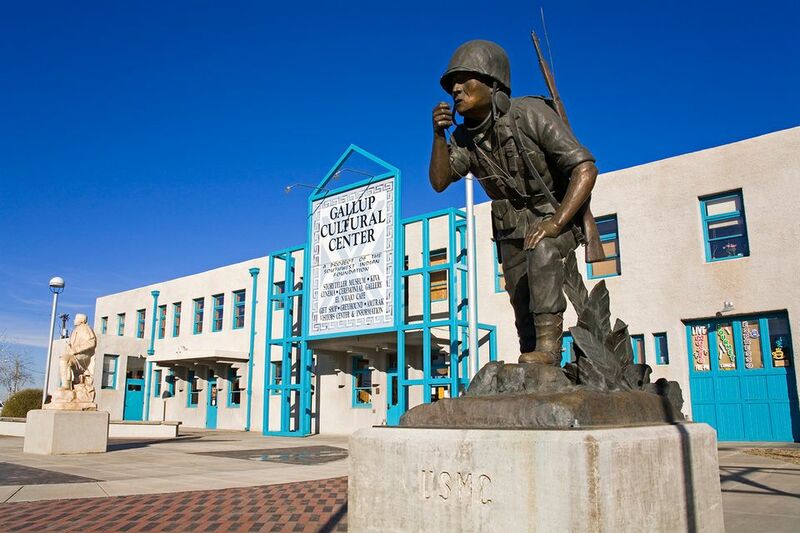 Another Gallup trading post, Ellis Tanner Trading Company, is also worth a look. Real trading posts deal in local jewelry, rugs, pottery, and art and are not a place to find souvenirs made in other countries. Ask for certificates of authenticity and ask if the items are Native American-made, which family or artisan made the item, and where they live. You should be able to get that information from the trader. Real trading posts conduct ongoing business with local Native Americans. Beware that many souvenir shops use the term “trading post.” There is a real difference between them. When you shop at trading posts, take your time, learn about the local art, weaving, and jewelry making. Research the prices. Ask a lot of questions. Most long-standing trading posts have very knowledgeable staff members.